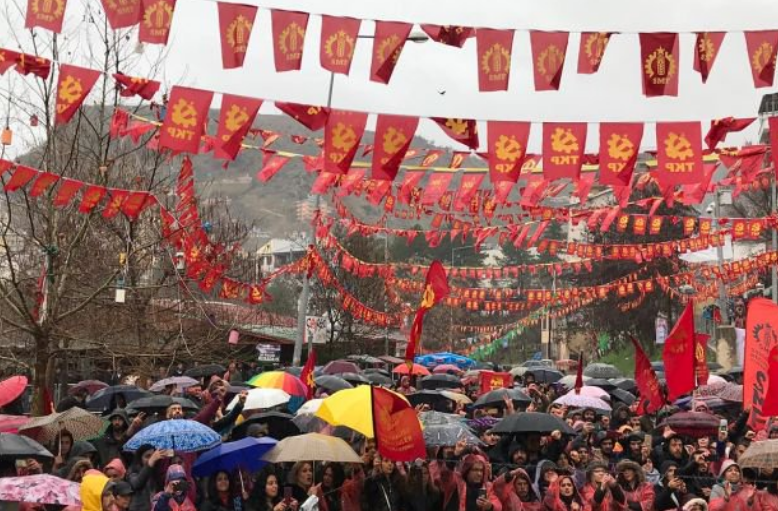 The Communist Party of Turkey’s Fatih Mehmet Maçoğlu emerged victorious in the city of Tunceli. Meanwhile, the Peoples Alliance led by president Recep Tayyip Erdogan lost power in key metros, including Ankara and Istanbul. The elections were the first round of polling after the 2017 constitutional reform that established a presidential form of government in Turkey. The Nation Alliance, the opposition coalition in Turkey, registered major victories in the country’s largest metros, including Ankara and Constantinople, in local body elections that concluded on March 31. The ruling coalition, People’s Alliance, led by right-wing president Recep Tayyip Erdogan, managed to secure 51% of the vote share and retained most of the provinces and district councils. However, the setback in the country’s major metros is seen as a severe blow to Erdogan’s bid to consolidate his power. Erdogan’s party has reportedly challenged the results in Istanbul and certain other cities. The opposition alliance has also won Turkey’s third largest city of Izmir with 52% of the vote. In a significant development, Fatih Mehmet Maçoğlu became the first mayor in Turkey’s history. Elections have been held for 30 metropolitan cities and for the positions of 1,318 district municipal mayors, 1,251 provincial councillors and 20,500 municipal councillors. Erdogan’s Justice and Development Party (AKP) and the Nationalist Movement Party (MHP) contested the elections by forming the People’s Alliance. In the opposition, Republican People’s Party (CHP) and the İYİ Party forged the Nation Alliance. Even though the pro-Kurdish Peoples Democratic Party (HDP) didn’t enter any coalition, they did not field candidates in opposition strongholds. The Communist Party of Turkey’s (TKP) Fatih Mehmet Maçoğlu emerged victorious in the provincial capital, Tunceli (formerly called as Dersim). Maçoğlu secured the mayorship by garnering 32.23% votes. Maçoğlu is the former mayor of Ovacık district in Tunceli. He was the first communist to hold such a position in 2014. The Local Sabah reported that the CHP won 11 major cities which is a significant improvement from its earlier tally of 6 in 2014. These elections were closely watched as they were the first after Erdogan instituted the presidential form of government through a constitutional referendum in 2017. The significant gains made by the opposition coalition will have a far reaching effect in the country that has been reeling under the authoritarian regime of Erdogan and a large- scale economic crisis characterized by the steady decline of the value of the Turkish Lira.